Democratic Speaker of the House Brian Egolf kicked off the 54th legislative session last week by acknowledging the diversity he saw arrayed before him in the Legislature’s lower chamber. It’s difficult to assess if Egolf’s statement is historically accurate. The Legislative Council Services library doesn’t have historical data about how the Legislature has changed over the years, regarding ethnic and racial diversity. But they do have data about women. And there’s no mistaking the New Mexico’s House of Representatives post-2018 election is closing in on resembling the state itself demographically. It’s a place where half of the chamber’s 70 lawmakers today are not Anglo (white), where there are 28 Hispanics, four Native Americans, two African Americans — and one member who identifies as both Native American and Hispanic, according to the library in the Legislative Council Service. Such diversity is not much of a surprise in a state that prides itself for multiculturalism and is among the handful across the country that has majority-minority populations, where whites represent less than half the population. (The others are California, Texas and Hawaii). And New Mexico has long held the distinction of electing Hispanics to public office at higher rates than most others states due to its large Hispanic population. That said, the non-Anglo share of lawmakers in the New Mexico House is lower than New Mexico’s actual demographic breakdown, where more than 60 percent of the state’s population is Hispanic, Native American, Asian and African American. But that appears to be par for the course, judging by a recent study by the National Conference of State Legislatures and the Pew Charitable Trusts, which found that lawmakers usually don’t fully reflect the diversity of the populations they represent. Race and ethnicity, as always will play a role in this session, but it might be larger than in past years due to a historic 2018 ruling that found New Mexico guilty of shirking its constitutional duty to adequately educate at-risk students, many of whom come from communities of color around the state. The House became more diverse in other ways this year as well. Abbas Akhil, D-Albuquerque, became the first Muslim American elected to the Legislature in November. In addition to the House’s racial and ethnic mix, the largest share of women in the state’s history are serving in the New Mexico Legislature this year. 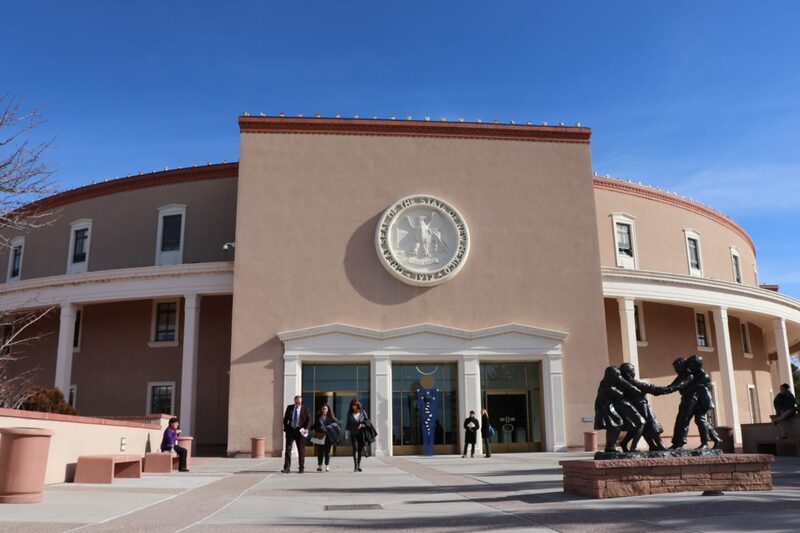 Thirty nine of the 112 state lawmakers in the state House and Senate are female; 31 in the House and eight in the Senate, following last week’s appointment of Antoinette Sedillo Lopez to replace Albuquerque Democrat Cisco McSorley. McSorley stepped down to head up the state’s Probation and Parole Division under Gov. Michelle Lujan Grisham. Over the past 50 some-odd years, the number of women in the Legislature has grown, slowly at first, from two in 1967 to 11 in 1987. The following decade saw a nearly threefold increase, with 30 female lawmakers seated in 1997. Since then, the growth in female representation has slowed, rising to 39 this year, an all-time high. As with racial and ethnic diversity, female representation in the Legislature hasn’t caught up with the demographics of the state, where females compose more than 50 percent of the New Mexico’s population. But diversity isn’t just about numbers. It’s also about who sits in positions of power. On that score, the state House is pretty diverse. The first-ever African American woman elected to the House in 1994 – Rep. Sheryl Williams Stapleton, D-Albuquerque – is the House Majority Leader, the second-most powerful post in the chamber behind Egolf. Meanwhile, eight of the House’s 14 legislative committees are chaired by Native Americans or Hispanics, a review of committee assignments shows. The state Senate is less diverse than the House. Nearly half of the state Senate – 19 of 42 senators – are either Hispanic or Native American. And just 8 are women. The Senate Rules committee made quick work this morning passing a bill to reverse a measure in 2016 that reduced the amount of spending lobbyists are required to report. This year’s bill, sponsored by Sen. Daniel Ivey-Soto, D-Albuquerque, is included on the so-called “rocket docket,” a list of bills assigned to just one committee with the goal of fast-tracking them for signature by New Mexico’s new Democratic governor, Michelle Lujan Grisham.